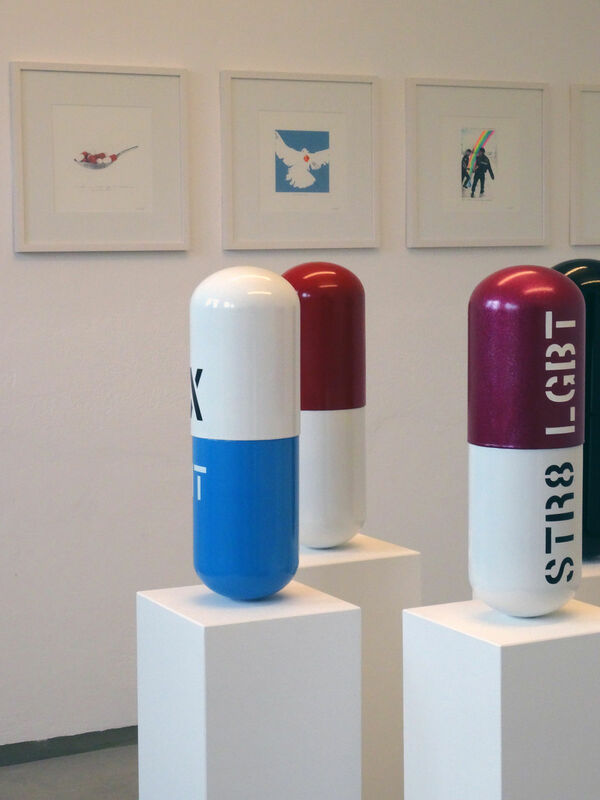 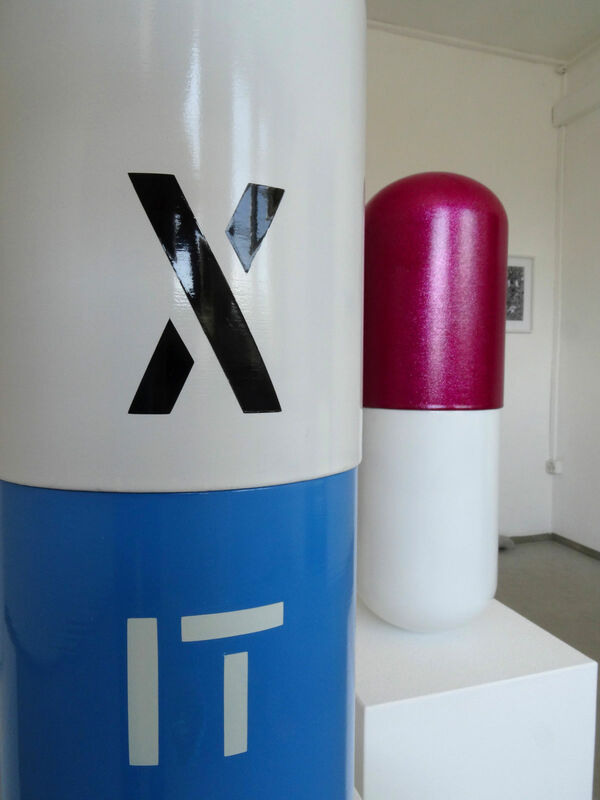 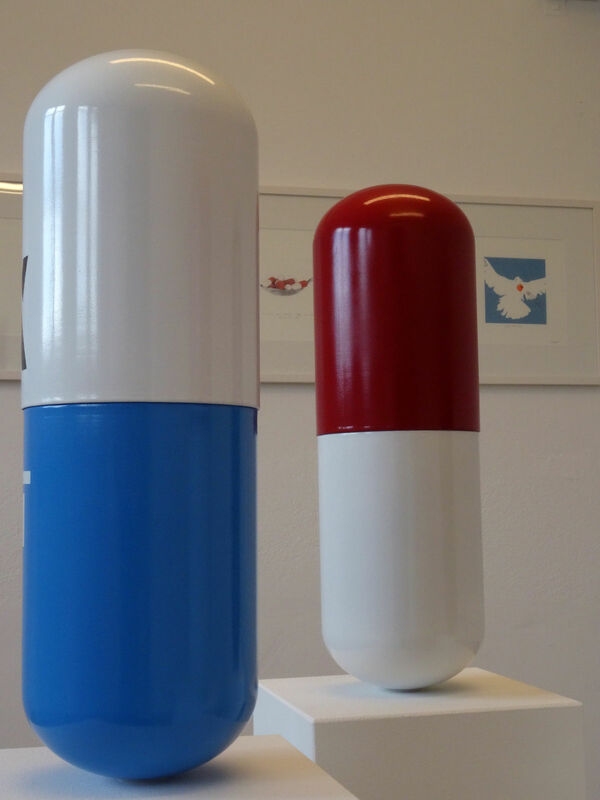 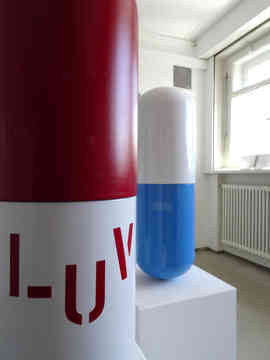 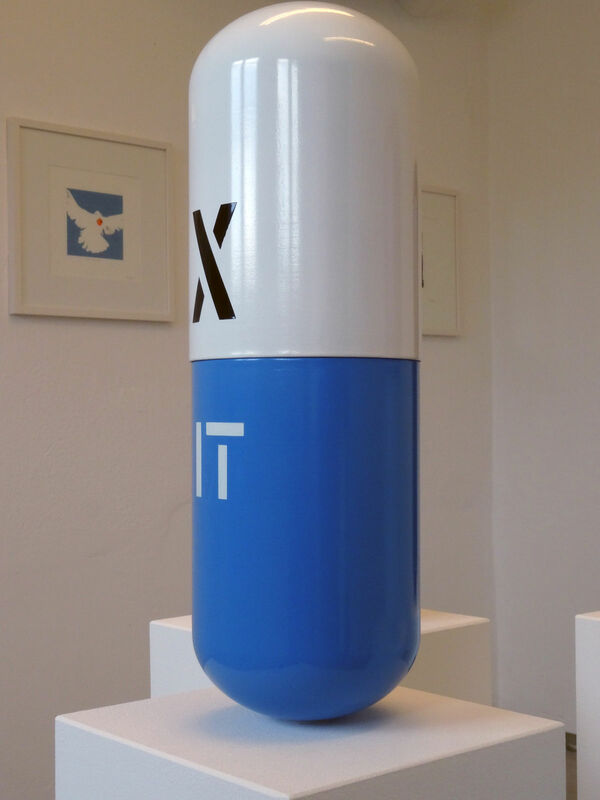 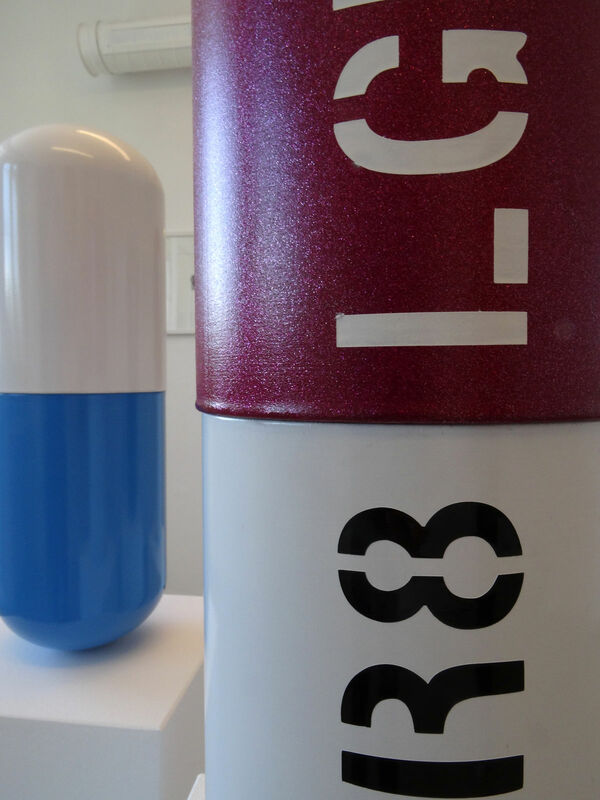 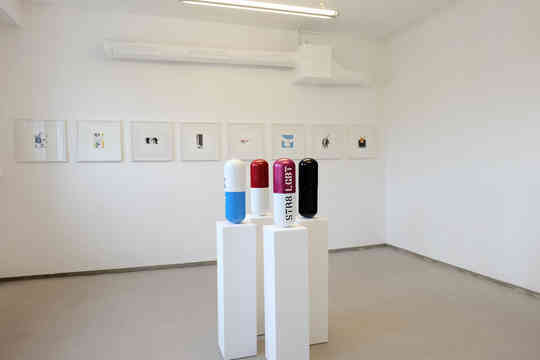 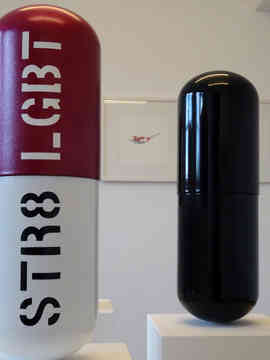 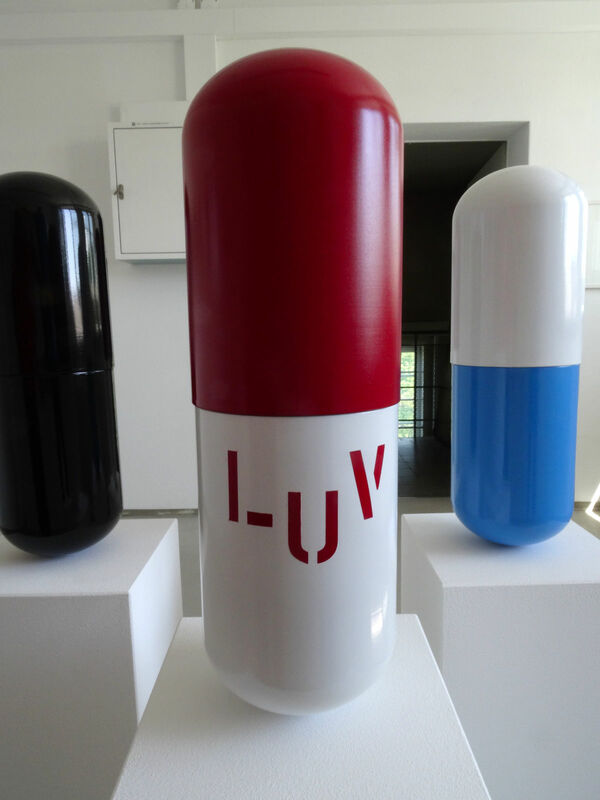 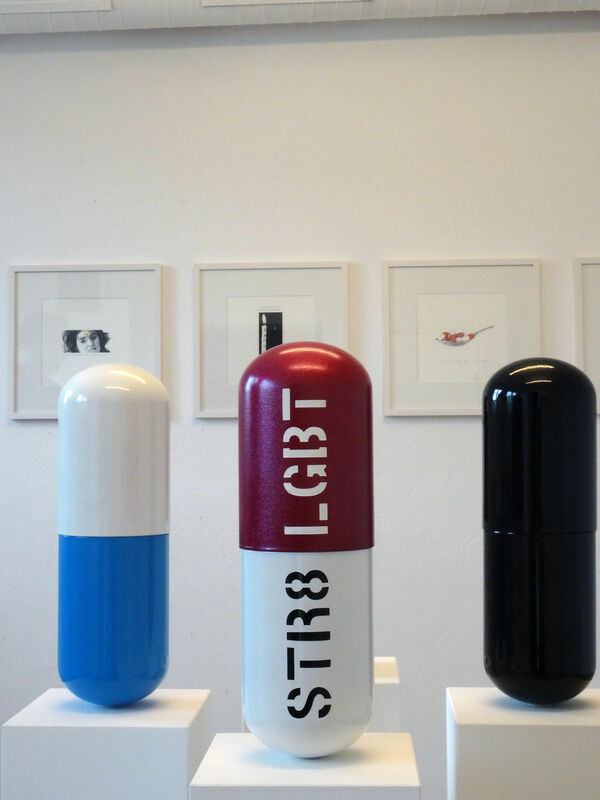 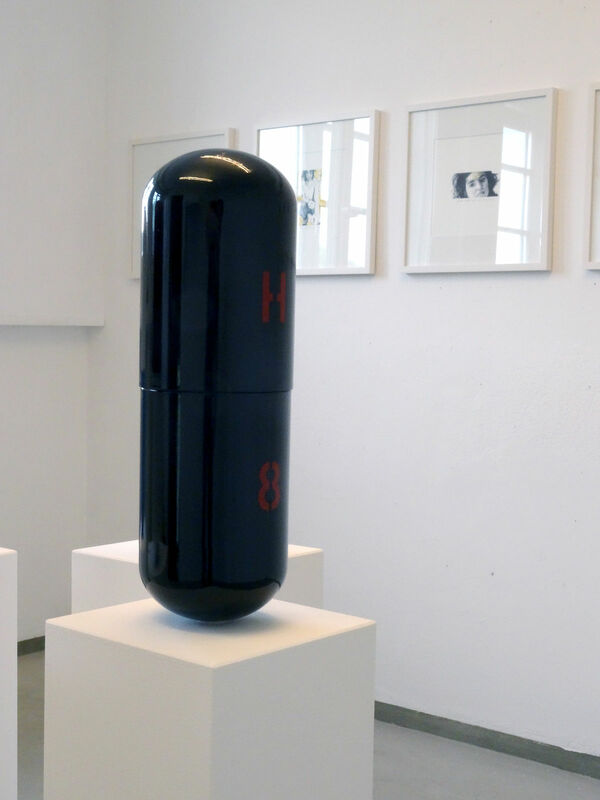 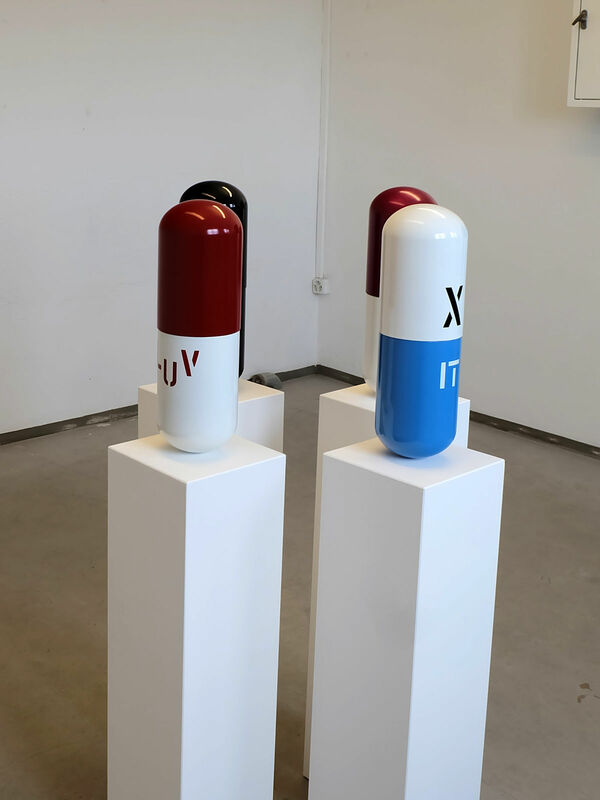 The pills and their cryptic abbriviations as well as the title of the installation "Swallow It" knowingly provoke and amuse the viewer, not only to illustrate possible sources of fear, but also to point out their handlings, or avoidance (repression). "Swallow It", i.e. the medication, is often the choice of method of many concernded or treated person. The analysis and interpretation of the installation offers the viewer food for thoughts to review his behaviour and handling with in corresponding life situations – which often can be subject to social constraint or restrictions –.